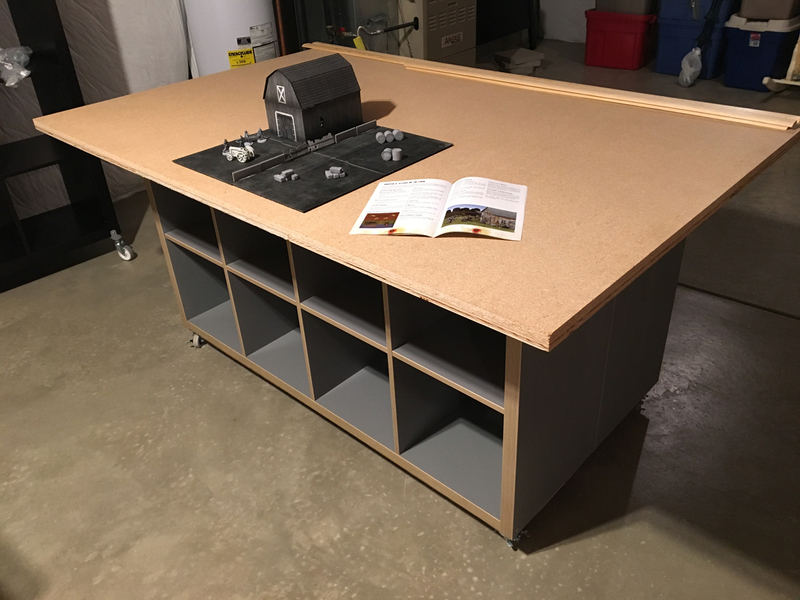 I was able to complete a little more on my new 6′ x 4′ gaming table over the week. This time, I finished up the main table space. I reinforced the 3/4 in press board with half inch plywood and OSB slabs. 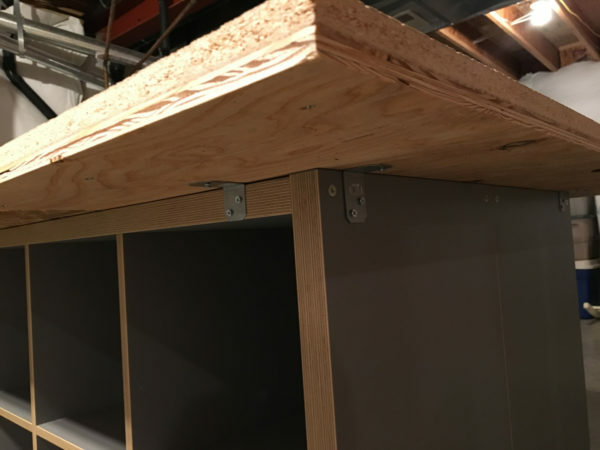 I glued them on the back and screwed them in to really hold everything in place. 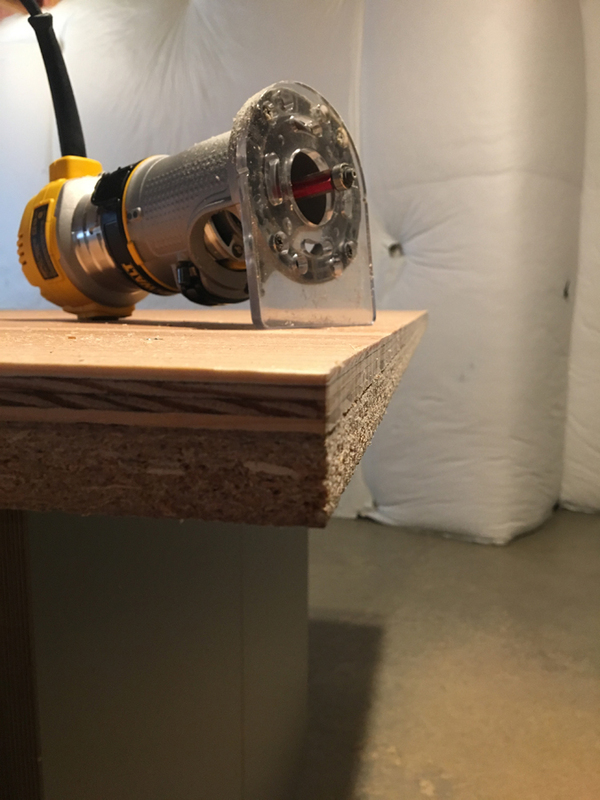 Then I flipped it over and used my router with a flush trim bit to smooth out the overage. My router has successfully pulled double duty as my CNC router and now functional “regular” router. After flipping the table back over, I centered the top to the base and screwed it in using more simpson brackets. Since IKEA isn’t really a sturdy material base, I used eight of these L-brackets to go around the table and keep it in place. The final steps on the table will take some time as I’m ordering laminate sheet samples to figure out what pattern I want for the top. I will finish the edges with some painted wood trim and that should complete the table project. Samples will take a few days to arrive and then the order of the full sheet will take a few weeks so the final phase of the table will be complete later in June. Luckily the table is playable now so I’ll be able to throw some games down soon enough.